Airbus Defence and Space has appointed Barbara Bergmeier, 50, as Head of Operations and Member of the Executive Committee, effective 1 December 2018. She succeeds André-Hubert Roussel, 53, who will become Chief Executive Officer (CEO) of ArianeGroup, a 50-50 joint venture between Airbus and Safran, effective 1 January 2019. "I am happy that Barbara Bergmeier joins us at this exciting time for Airbus Defence and Space. Barbara is a seasoned leader in complex industrial ecosystems. She brings extensive experience in Manufacturing-Operations, Digital Transformation, Supply Chain Management, Production Restructuring, Design and Set-up of assembly lines and a strong international background – all assets which are of paramount importance for the further implementation of our growth strategy in the coming years," said Dirk Hoke, CEO of Airbus Defence and Space. Barbara Bergmeier joins Airbus Defence and Space from Vilsbiburg, Germany-based Dräxlmaier Group, where she has been Chief Operating Officer and an Executive Board Member since 2014. In that capacity, she has been in charge of 50 production sites in 20 countries and has been instrumental in expanding the company's industrial footprint in Asia and in the Americas. 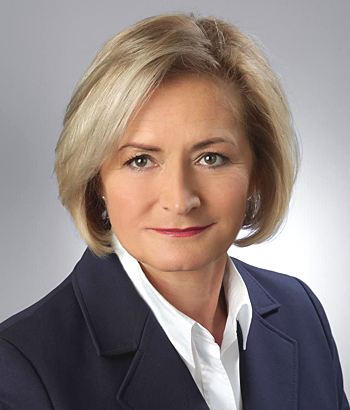 Before joining Dräxlmaier Group in 2014, Barbara Bergmeier worked at automotive company BMW Group where she held various senior management positions from 1990. Among others, she was Senior Vice President HR Management/Services at the company's headquarters in Munich, Vice President Chassis & Drive Components in Dingolfing, Germany and Vice President Assembly and Logistics at BMW's Spartanburg plant in the U.S.
Barbara Bergmeier holds a degree in business administration from the University of Applied Sciences in Landshut, Germany.